If you’re taking phentermine to lose weight, then it’s highly recommended that you incorporate some degree of physical activity in order to get the most out of the weight loss drug. Exercise is a key part of the weight loss journey. Not only does exercising encourage further weight loss and muscle toning, but it also boosts your energy levels, minimizes the side effects of phentermine, minimizes menstrual cramps, suppresses appetite, and improves your overall outlook on life and mood. However, this could mean having to work out for the first time ever for some people. So, how do you start working out while taking phentermine? Here are some of the main rules for exercising on phentermine that you should keep in mind. These five rules include setting goals and getting some exercise in no matter how busy you are. If you haven’t taken phentermine before or haven’t exercised for some time, always be sure to check with your doctor before you begin a new exercise regimen. Your physician may have some exercise recommendations of their own designed for new phentermine patients. Even if they don’t, they should at least offer some extra support. It’s much better to be safe than sorry, so discuss your phentermine exercise plan with a healthcare professional. After you get the all –clear from them, you can move on to the rules and tips below to get off on the right foot. Not sure where to begin with working out on phentermine? It can feel daunting to get started, particularly if it’s been some time since you last exercised. Don’t worry though. If you aren’t sure where to begin, then here are five ways to start out right to succeed with your phentermine exercise plan. Always be sure to start small when setting exercise goals with phentermine. Trying anything drastic is going to push you out of your comfort zone, to the point where you have trouble, get miserable, and run the risk of injuring yourself. Being overambitious leaves, you feeling disappointed and you wouldn’t be the first person to get discouraged and come up with reasons to not even try in the future. The first stage is all about starting out small and doing things that you know you can. These small steps build confidence. You can then build on that confidence with how easy the first step ended up being. Walking is always a solid starting place. Start out with a simple goal to just walk around the block. If you find that easy, then remember to stay reined in. Don’t expect you can magically run a mile the next day. Rather, take your current goal to a new level and walk around the block a few times, or try jogging around the block. Set regular goals – weekly or fortnightly – and take your lifestyle into account when setting goals. Avoid stretching yourself too thin and trying to do too much. If you want to ensure that your work-out program will succeed, then you have to ensure that it has the “three Cs” of commitment, consistency, and convenience. Everyone knows that working out takes a degree of commitment. Everyone is busy with work, school, holidays, and anything else they use as an excuse to not work out when they have to. The time has come to test if you have what it takes to persevere and reach your goals. Planning is vital to successful weight loss; it helps to put together an exercise plan. You’d plan just about everything else after all. Put your work outs into your calendar and make working out a part of your daily schedule. If you leave it up to chance and only exercise “when you can”, you’ll find that you never can. Consistency is another key of exercise success. Taking just a few minutes each day to exercise is better than leaving it until you’ve got an hour and going to the gym just a few times each month. Research has shown that sweating for just 10 minutes a day three times a day has the same benefits as working out for a full 30 minutes. If you don’t have much time then go for a walk or do a few jumping jacks or push ups when you get a few minutes. Just ensure that your workouts are things you can do on a regular basis, even if it’s just for a few minutes at a time. Finally, there is convenience. This means choosing a gym that is close to you, or an activity that you can do at home, or a time when you won’t get interrupted. No one knows your routine better than you, so you’re in the best position to slot working out into your regular routine. If your current exercise plan isn’t convenient for you, then it’s time to change it. Far too often, people who are just starting out with exercise get too caught up in burning calories during a workout. 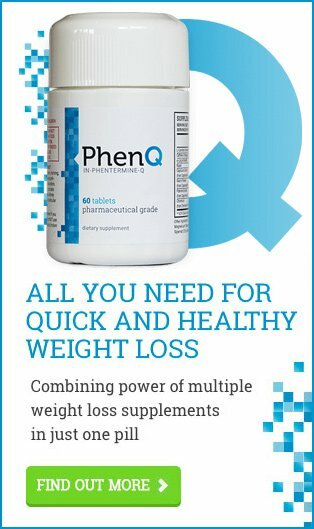 This goes double for people trying to lose weight with phentermine. While it is true that calories burned can provide motivation and a goal to work towards, calorie burn counts aren’t very reliable and they aren’t helpful when putting together a good exercise plan for long-term weight loss. Rather, think about the reasons you have for wanting to get fit. Focus on things like improved strength, speed, agility, and your overall mood. Finding a great workout that you love doing improves your health, boosts weight loss, and gets you looking fit and toned. It can also make you feel great and provide you with extra energy. Make sure that you aren’t neglecting common lower-intensity exercises. Weight-bearing exercises like pilates and yoga can help to build lean muscle. This improves your metabolism and gets your body burning calories even if you aren’t working out. Focusing entirely on how many calories you are burning is a short-term outlook that is going to hinder your progress. Rather, you should focus on things like how much fun you have, what you can do now, and the other benefits of exercise. Doing this lets you develop a more long-term outlook to health and weight loss. This in turn contributes to a more successful weight loss and makes it easier to keep the weight off, even after ending your phentermine prescription. Be sure to allow yourself a little flexibility when you set goals. If your goal is to go to the gym every day in a given month, then what would you do if you couldn’t go because your kid was sick or you got stuck at work? There is an endless amount of legitimate reasons that we can’t go to the gym or fulfil the other promises we make. When you set an “all or nothing” goal like this you are setting yourself up to feel like you’ve failed miserably when you inevitably fail to meet the goal. That leaves you feeling unmotivated and makes you feel like giving up instead of just getting right back to it. It’s all too easy to get into a habit of doing nothing instead of doing something to reach your goals. Rather, you should be aiming for overall long-term success. Look at the big picture, which allows for a few mistakes or missed days. What matters is that you’re aiming to do something and that you’ll do it as much as possible. Keep the 3 C’s – commitment, convenience, and consistency – in mind. If you do start making excuses to not exercise then you should change the exercise and do something you want to do instead. Ever wondered what the key to happiness is? Studies by Mihaly Csikszentmihalyi showed that people are at their happiest when they are doing something that they find challenging but achievable. We tend to get frustrated and give up on the things that prove too difficult, and we tend to get bored (and give up) if something is too easy. So, while it’s important to start slow and break your goals down into achievable bite-size chunks in order to succeed with your phentermine weight loss, you should also be sure to change things every so often and challenge yourself to prevent boredom. The last thing you want to do is give up and become a couch potato again. Succeeding with your weight loss goals means having to say no to the foods that you love eating. Exercise is a proactive and positive way to improve your health, body, mood, and outlook on life. Be sure to say “yes” to exercise and rising to meet new challenges. If you have been walking for a few weeks now and have started jogging, why not throw in a little interval training or go on a longer hike? Perhaps you’ve built up the confidence to join a gym and do some group classes, or maybe you could sign o for a charity walk or run. That allows you to get the benefits of exercising and pushing yourself while also doing something great for charity; it’s a complete win-win situation. Now you know the rules of phentermine weight loss, you’re in a better position to reach your phentermine weight loss goals. Last updated: January 14th, 2019. Bookmark the permalink.